Government plans to reduce power tariffs to below what is charged by its regional counterparts in a bid to improve the country’s competitiveness. The average regional price stands at 7,50c/kWh compared to the tariff of 12,8c/kWh customers pay in Zimbabwe. This follows calls by the manufacturing industry and other electricity consumers to improve mining and manufacturing sectors’ competitiveness. Energy and Power Development Minister Simon Khaya Moyo told Business Weekly that the country will soon slash electricity tariffs as part of efforts to stimulate economic production. “We are engaging some key economic and energy stakeholders to review electricity prices downwards as part of efforts to make our country and economy competitive. “Our cost of production has been very high over the years, but now it’s time to review electricity downwards to match regional standards to an average of around 7,50c/kWh. “Just like we did in the fuel sector, we want to remove all impediments to make our electricity affordable to every sector,” said Khaya Moyo. He said given the increased optimism to invest in the electricity sector, the tariffs would be seen going down in the next few months. The pronouncement comes exactly a week after Government also reduced fuel prices by 3 percent in a bid to improve the country’s general economic environment. Minister Khaya Moyo said the new administration has brought hope in the investment into the power sector. “Given the lack of investment and lines of credit in the sector our electricity was bound to be expensive but due to the appetite for investment in the electricity sector shown at Davos we will see ourselves reducing electricity tariffs lower than our regional counterparts. “We will certainly push for the tariffs to around 7,50c/kWh to improve all sectors of the economy,” said Khaya Moyo. 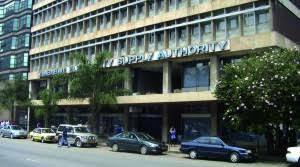 Confederation of Zimbabwe Industries (CZI) president Sifelani Jabangwe, said the proposed move will augment the import management programme — Statutory Instrument 64 of 2016 — to improve local industry’s competitiveness. “If the country could reduce its electricity tariff for industry to that level of around 7,50c/kWh, it would go a long way in improving its competitiveness as electricity is one of the key cost drivers of the manufacturing industry. “Electricity will reduce cost of production significantly in many goods in our industry, therefore this will also raise the industry’s capacity utilisation,” said Jabangwe. Also, local mining companies were pushing for a downward review of electricity tariffs, especially in the wake of declining commodity prices on international markets. Given this new development, many miners will ramp up production and return to profitability as electricity gobbled almost half of the production costs. The mining sector is presently being charged about 12,8c/kWh for power, and mining houses want the tariff cut to 7c/kWh or less. Recently the Chamber of Mines of Zimbabwe claimed besides the effects of power shortages and high tariffs, the sector was grappling with low capital and FDI inflows, and generally high local cost structures. Chamber of Mines CEO Isaac Kwesu, indicated in a recent report that: “Most producers feel that the current electricity tariff regime is too high and not sustainable for the quality of deposits being exploited hence there is need for a review. “The average tariff for the mining industry is currently around 10c/kWh, though most gold producers are paying around 13c/kWh compared to the national average or general tariff around nine cents. Uganda has since halved its tariffs to around 9c/kWh from around 18c/kWh to improve its competitiveness. Zambia and Angola are some of the countries with lower power tariffs in the region and the world, and Zimbabwe is moving towards that path to become competitive. — BusinessWeekly.